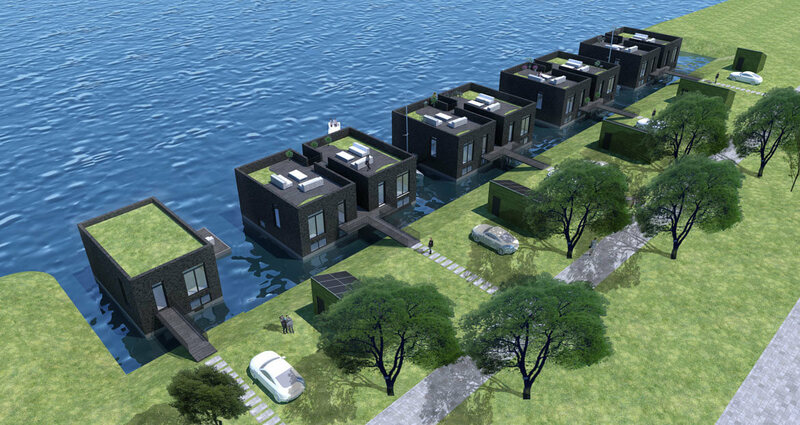 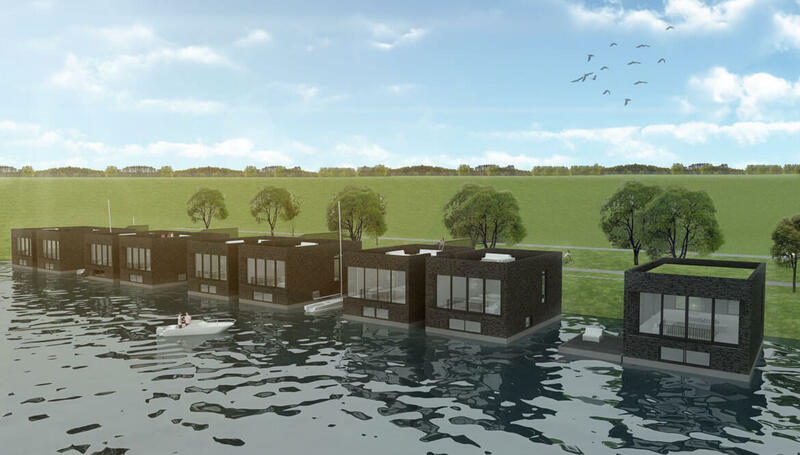 Waterstudio designed nine luxurious floating houses located in the ”Blauwe Diamant”, Zeewolde, the Netherlands. 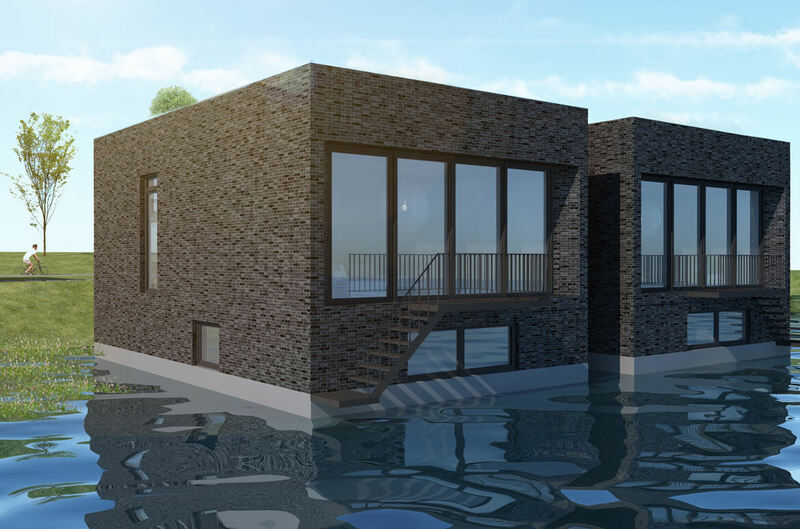 Due to their location the houses provide wide views on the grassland and the adjacent water. 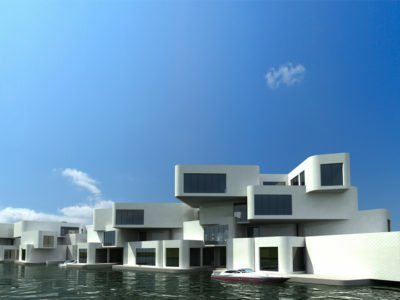 Each house has its own berth enabling habitants to discover the various recreational waterways that are connected to the ”Blauwe Diamant”. 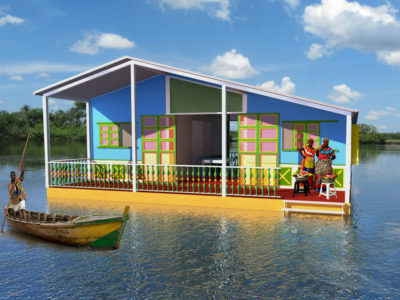 The floating houses provides their inhabitants with a spacious living room and kitchen. 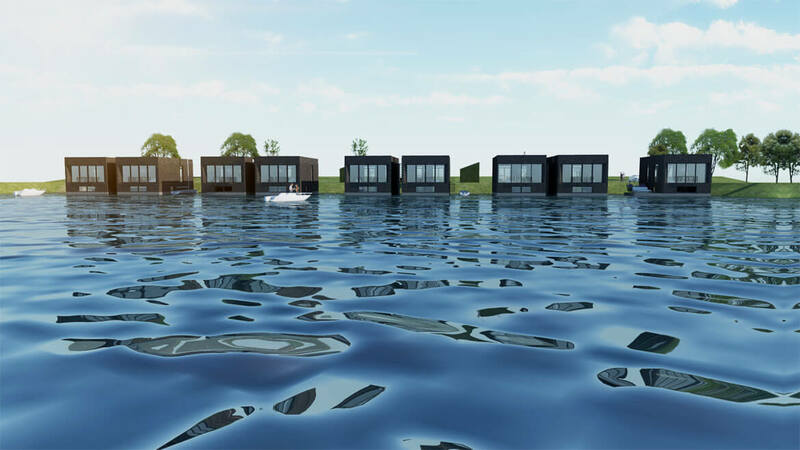 The sleeping area contains three bedrooms including one master bedroom with a walk-in closet and a bathroom. 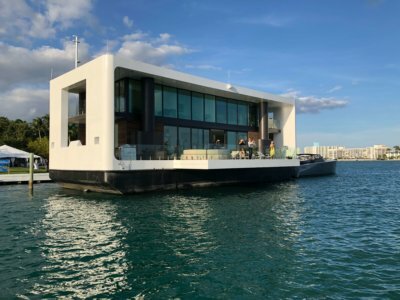 One of the houses has its own large floating terrace adjacent to the living room while the other eight have a sunny roof terrace which provide large amounts of privacy. 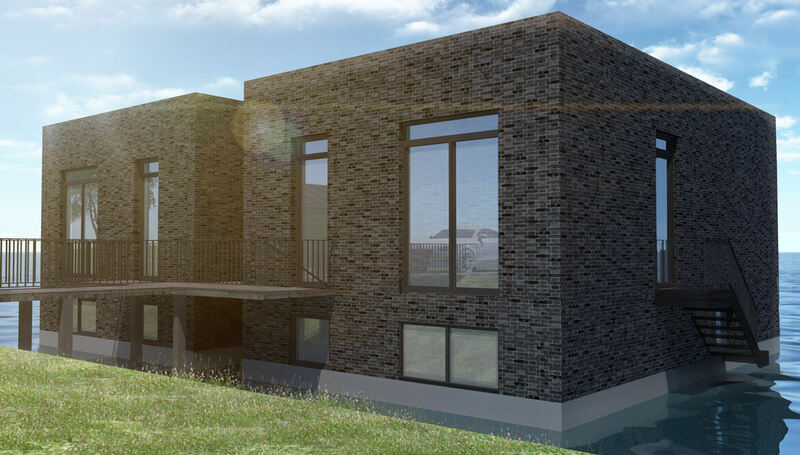 All the houses have their own garden and on-site parking space.